Need to find a book in the Concordia University Library collection? 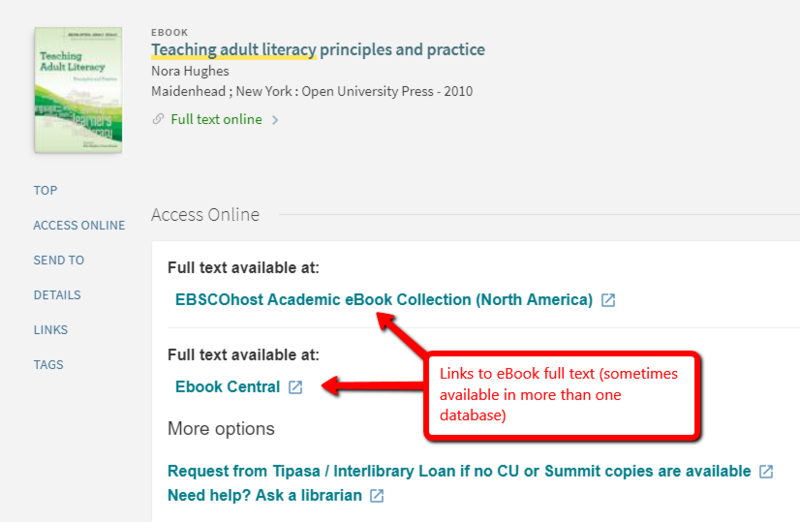 Use the library catalog! The library catalog is the place to go to locate books, DVDs, and videos. We own a variety of materials on teaching strategies, educational theory, and curriculum development; we also have a collection of children’s books and curriculum materials, such as teacher and student textbooks. In addition to our print collection, there are more than 65,000 electronic books available to you through the library catalog. Electronic books have the same content as the print version, but the entire text is online. Concordia University Libraries own numerous books in electronic format (eBooks). These are available to read online from any computer. As with searching for articles, you must be logged into the Concordia network in order to access the eBooks. The quickest way to find eBooks is to search the Concordia library catalog. There will be a link to the full text of the book in the catalog record.